The stresses and strains of modern life can take their toll on your skin. Lifestyle factors and genetics can also play their part, resulting in imperfections that are likely to show up on your face. Dermal lip fillers such as Restylane, which has been used in over 10 million treatments worldwide, can smooth those unwanted folds and wrinkles and revitalise your skin giving you lip enhancements with an altogether more relaxed and youthful appearance. Lips are the most important part of facial beauty. For many people, fuller and more enhanced sensuous lips come high on their wish list and these can be created using material naturally found in the body. A simple and safe temporary Dermal lip filler injection treatments can add volume and definition, enhance small thin lips, balance out asymmetric lips or reduce the appearance of those fine, vertical lines. As we get older we may lose a youthful look to not only our skin but our lips too. 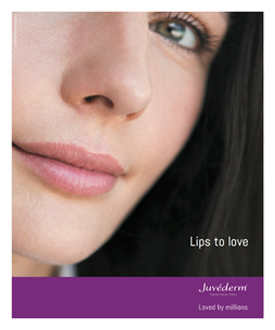 Over time, our lips start to lose fullness and wrinkles start to appear. Which part of a lip can be enhanced or plumped? Lip augmentation targeting the fleshy part of the upper and lower lip, for volume, pout & fullness. You will have an in depth consultation with the practitioner to understand exactly what your needs are and what you would like to enhance. At this appointment, you will be advised of the procedure, how long it will last and aftercare instructions. The lip fillers are injected into the skin in tiny amounts with a very fine needle and your face may be gently massaged to optimize contouring treatment usually takes around 15-30 minutes, depending on the area to be treated. Some patients have reported they experienced some minimal discomfort but it was not to uncomfortable. Lip fillers have a lasting result of up to 9-12 months and even longer after subsequent treatments. 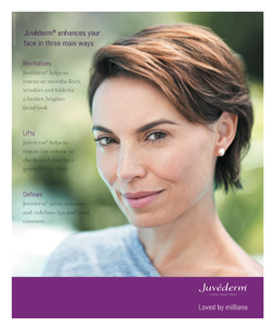 Derma fillers can be used either as a wrinkle filler, fold filler, cheek filler or for lip enhancement and augmentation. The results can be seen immediately and treatment with fillers is safe, fast and leaves no permanent scars or other traces on the face. Lip fillers can add natural volume in your skin to lift and give it a new firmness resulting in a healthy & vital appearance.